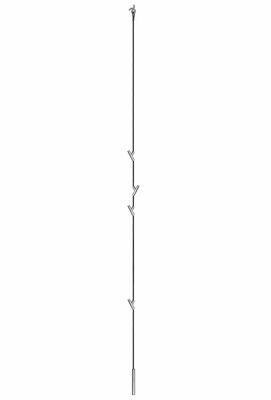 Wardrope Coat Stand, looking like a liana hanging from the ceiling, will be the star of your entrance! 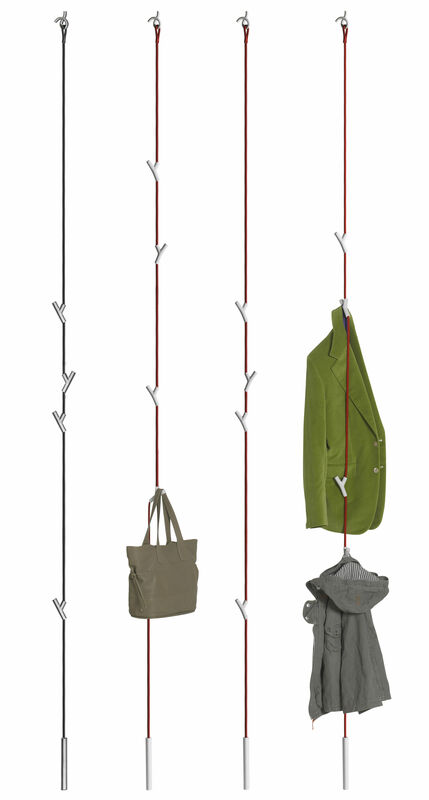 Wardrope is ingenious and space-saving, and equipped with four hooks in Y form which you can negligently hang up your coats, hats, scarves, necklaces on... What is more, you can place the hooks according to the height of your family members wherever on the rope you want! 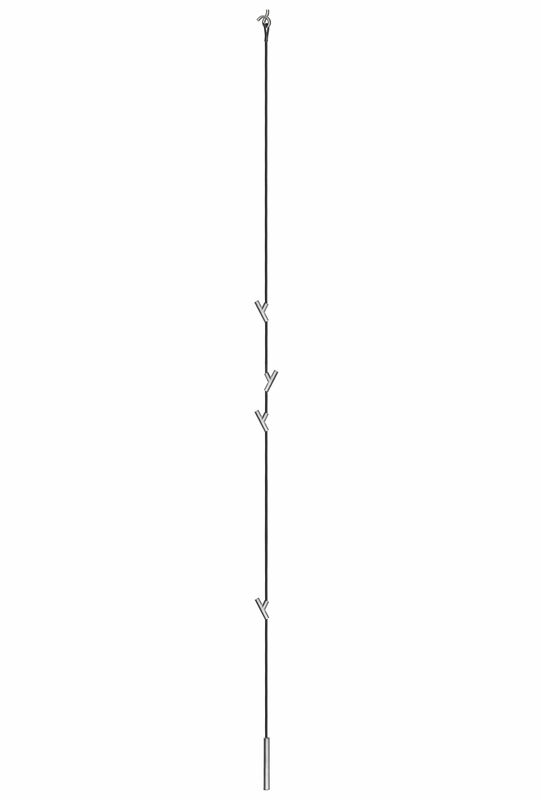 The polyamide rope, to be fixed with a steel hook on the ceiling, is counterbalanced with a weight in order to be perfectly stable when you take your coat. 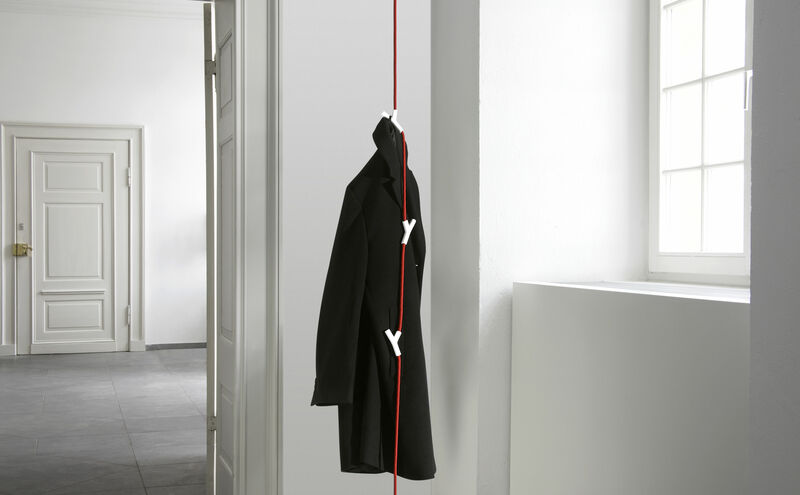 Available in black or red rope with white or matt chromed hooks.